“UFC 128: Shogun vs. Jones” has been underway for a couple of hours, but Brendan Schaub just officially kicked off the pay-per-view broadcast with a bang. “The Hybrid” put MMA legend Mirko “Cro Cop” Filipovic to sleep with a vicious right hand at 3:44 in the 3rdRound of their heavyweight affair. With the biggest victory of his budding career fresh on his mind, Schaub looked to continue his winning ways against one of the sport’s deadliest strikers. Schaub most recently outpointed former title challenger Gabriel Gonzaga at UFC 121 in October, but didn’t want to bother the three judges sitting Octagon-side on Saturday night. “I’m no dummy. I know Cro Cop is a world-class kickboxer and that’s why I went for the takedowns. 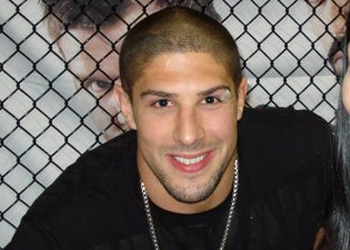 I feel like my speed was the difference,” Schaub said immediately following his victory. Schaub celebrated his birthday this past week and immediately asked UFC president Dana White for ‘Knockout of the Night’ honors and the phat check that accompanies it. Filipovic returned from a devastating knockout loss to former UFC champion Frank Mir at UFC 119. Saturday could have marked his final appearance inside of an Octagon.